The Prime Minister of Canada, Justin Trudeau, made a 15-minute speech in the House of Commons which was clearly a response to public outrage at the acquittal of a Saskatchewan farmer who shot and killed Colten Boushie, a Cree man who drove onto his property with friends. 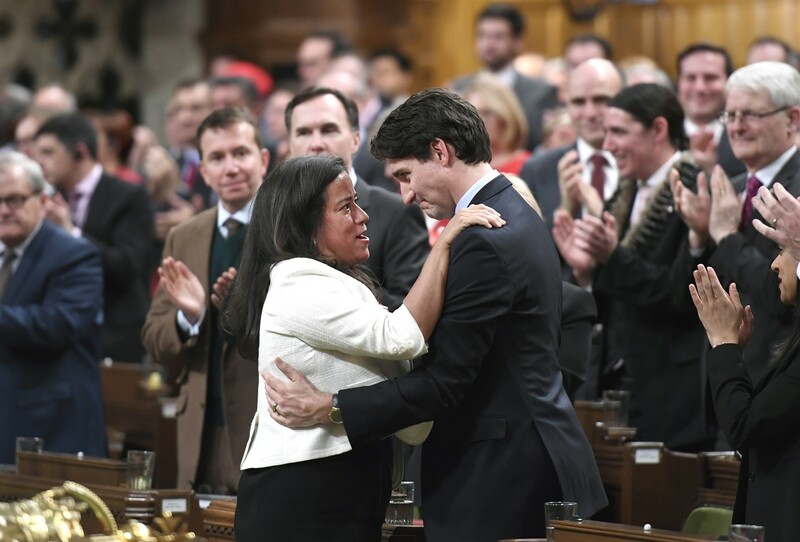 Trudeay promised new legal framework for Indigenous peoples and the speech included the phrase "we need to get to a place where Indigenous peoples are in control of their own destiny." I've heard a number of responses to the speech from Indigenous leaders, most of them cautiously optimistic, although they are well aware that there have been plenty of words which have not issued in action when it comes to healing the brokenness of virtually every system which addresses Native rights and culture. Someone suggested that what we need is "reconciliaction," the simple but profound addition of a letter to remind us that the time is now for concrete proposals and their implementation. I am therefore asking you to reflect on the legal system’s response to the violent death of a young Indigenous man in a Canada that says it is committed to reconciliation. I am asking you to reflect as members of a church that has also pledged its commitment to reconciliation and to confronting racism. To the members of the United Church’s 64 Indigenous communities of faith and to Indigenous members of the church in urban areas and other communities of faith, I say that the United Church will continue to seek to build a new relationship between Indigenous and non-Indigenous peoples in Canada. We understand that this cannot be accomplished simply with words. It requires confronting our own racism and dismantling systems of privilege that deny you your rightful place in the life of your nations and this country. To the those of you who are members of non-Indigenous communities of faith in the United Church, I ask you to think about what our Indigenous relations are experiencing and feeling in this moment. I ask you to think about how you can respond in a way that will be meaningful for them, and that will contribute to a new relationship between us. What can we do? We can pray for those affected by this case, and for all those who have been or are being harmed by the systemic racism that underlies it. We can pray for the strength to face hard truths. We can join in public witness and support. We can learn more about what changes the TRC has recommended for the Canadian legal system with respect to Indigenous peoples (Calls to Action 25-42), and we can advocate with political leaders for the fulfillment of those reforms. Most importantly, we can acknowledge and confront our own racism and privilege. I am a retired United Church of Canada minister living in Belleville,Ontario, Canada.